The Heath Quartet is rapidly emerging as an exciting and original voice on the international chamber music scene. Selected for representation by YCAT in 2008 it immediately went on to win 1st Prize at the Tromp International Competition in Eindhoven and 2nd Prize at the Haydn International Competition in Vienna. 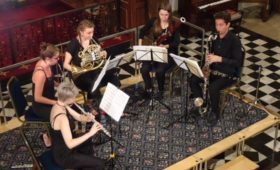 In 2011 it was awarded a prestigious Borletti-Buitoni Special Ensemble Scholarship and in the same year undertook two complete Beethoven Quartet cycles at the Fàcyl Festival in Salamanca Spain and at Greyfriars Church in Edinburgh. The Quartet was presented with a Bank of Scotland Herald Angel Award after unanimous praise from The Herald’s music critics in Edinburgh. Engagements this season include recitals at Wigmore Hall as part of the Emerging Talent scheme (supported by the Mayfield Valley Arts Trust), including the premiere of a new work by Luke Bedford and collaborations with Stephen Hough and Ian Bostridge. It makes its debut at the Kissingen Winterzauber Festival in Germany, the deSingel Arts Centre in Antwerp as part of a Britten Day, returns to the Netherlands and Banff, and tours throughout Argentina. Future plans include a complete Tippett cycle at Wigmore Hall. Over the last two years the Quartet has given recitals at major festivals and venues throughout Europe including Barbican, Bridgewater Hall, Sage Gateshead, Perth and Queen’s Hall Edinburgh, Musikverein, Konzerthaus and Esterhazy Palace (Vienna), Vara Konserthus (Sweden), the Schwetzinger and Mecklenburg-Vorpommern Festivals and BBC Radio 3 broadcasts from Birmingham Town Hall and Bath Festival. It has returned to Italy and the Netherlands (where it collaborated with the Tokyo Quartet and Colin Currie), was resident at the Brighton Dome and studied with Andras Schiff and Erich Hobart at IMS Prussia Cove. In 2010 it recorded its first CD at the Muziekcentrum Frits Philips and undertook a two week residency at The Banff Centre in Canada. Further afield it has given concerts in Shanghai. 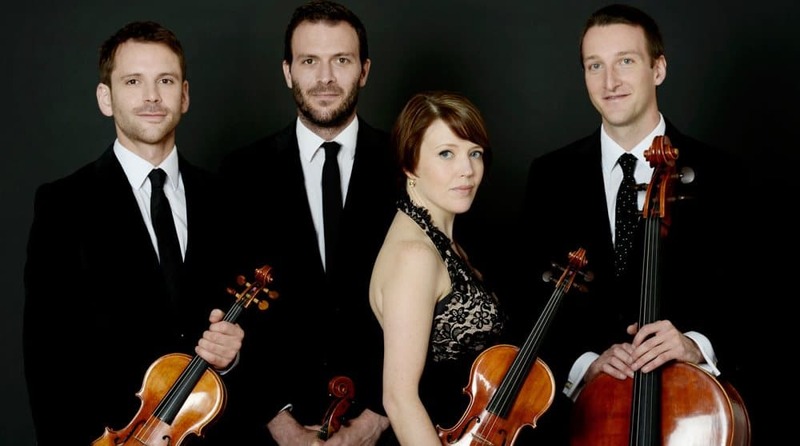 The Heath Quartet was formed in 2002 at the Royal Northern College of Music, under the guidance of the late Dr. Christopher Rowland and Alasdair Tait, with whom it continued its studies at the Reina Sofia in Madrid. During its studies at the RNCM the Quartet won all the major ensemble prizes and became Leverhulme Junior Fellows between 2008-10. Other teachers have included Gabor Takacs-Nagy and members of the Alban Berg, Smetana, Endellion, Lindsay and La Salle Quartets. 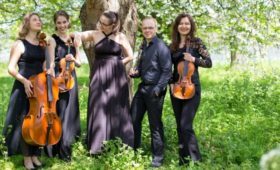 The Quartet are currently Senior Chamber Music Fellows at the Guildhall School of Music & Drama, supported by the Fidelio Trust. 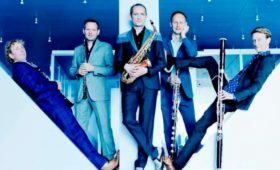 The Quartet has enjoyed working with several leading composers including Louis Andriessen, Sofia Gubaidulina, Anthony Gilbert and Hans Abrahamsen, the latter in a Radio 3 broadcast from the Proms. It took part in the European premiere of Steve Mackey’s ‘Gaggle and Flock’ for string octet, and received unanimous critical acclaim for their performance of Ligeti’s Quartet No.2 and Thomas Ades’ Arcadiana for The Park Lane Group at the Purcell Room.